The following is an interview with Stefani Cox, speculative fiction writer, editor for PodCastle, and urban planner. 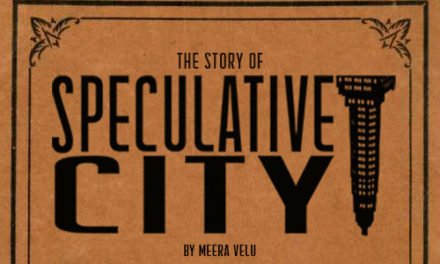 Stefani Cox speaks with Meera Velu, Speculative City editor, about cities, writing, and speculation. Meera Velu: Let me first say that the reason I thought it would be great to interview you, Stefani, for this issue is because of your knowledge and expertise, which converge with the magazine’s themes of speculative fiction and the city. Stefani Cox: Thanks for having me.  I am super excited to be chatting with you about Speculative City and how I relate. I have a master’s in city planning. By day I do communications work with non-profits, and right now I’m working with a bicycling equity organization. And then I also am a fiction writer. I write speculative fiction and a lot of my stories have to do with cities and place. MV: Since we’re a magazine that focuses on cities, I’m most curious about what you like about cities. What draws you to them? SC: When I think of what draws me, what first comes to mind is that cities are an opportunity to connect with a bunch of people who might have very different backgrounds. Those backgrounds could be based on, for instance, race, gender, age, or income. Then I think of the opportunity you get from this—when you’re living in a city, you coexist and define that place with all these other people who may be similar or different from you. So, I feel like the hustle and bustle of that has always been really exciting for me. I grew up in a college town that was a lot smaller than other cities I’ve lived in since then. I love that there’s a lot to do in cities, plus lots of career and other types of opportunities—like exploring food cultures. Cities are an opportunity to expand on who you are in relation to other people because there are so many different types of people around you. 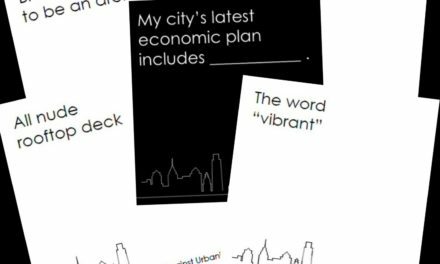 MV: Yes, everything that you’re saying is exactly what we, we being the editors of Speculative City, have talked about in why we focus on the city. The first thing that you were talking about—connecting with people of different backgrounds, that’s what we love about cities. Cites are a hub of a lot of different experiences. And that’s great, there’s a lot of opportunity. So, as a person who has lived in cities throughout your life, how do you see or how would you like to see cities develop? SC: That is such a good and deep question. I’m definitely not an expert on everything about cities, of course, but through the process of getting a planning degree and having worked on city issues, I have thought about this question before. The number one thing that always got me interested in city planning in the first place was looking at the shortage of affordable living options in cities and how that’s becoming a growing crisis over the years. I’m in Los Angeles now, and I moved here from the Bay Area, where I know you are, and where that issue is very acute. Lack of affordable housing also has disproportionate effects on low-income people and people of color. So I’d love to see us, as residents of cities, collectively find ways to really address things like renter protections and ways to recapture and redistribute the land and housing value increases that we see in gentrifying areas. And also, as I mentioned, I’m working in the transportation field right now, so there’s a lot happening with growing congestion, driving, and related issues with air pollution and climate change. I think that the equity issues there, as well, are really concerning to me. If you live further out from the city you’re driving a ton more to get in, so congestion and air pollution might impact you disproportionately. And the wildfires in California, for me, were a huge wake-up call recently in thinking about climate change. So, those are just a few of the issues that I’d definitely like to see group change and leadership on. And there are so many wonderful people out there working on these things; it’s not new to mention any of this. I think there’s all kinds of leaders, whether they’re formally recognized or not, local to the community or more official, government leaders. But there definitely needs to be a lot of support and public commitment around addressing those issues. SC: What I’m hearing is that you’d like to see cities develop more equitably in addressing major issues, like resource provision, with housing, and climate change. So in your daily work you write a lot about transportation, biking specifically, and climate change. 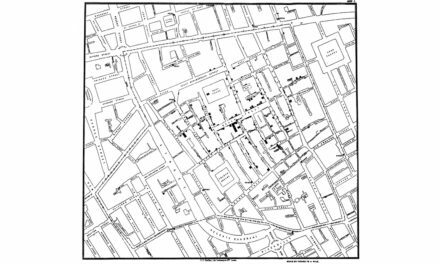 Bringing that in with what you were just talking about, how do you incorporate those aspects of the city into your fiction writing? SC: To preface, I want to say that, in a lot of ways, I’m in the beginning stages of my creative writing career. I’m still polishing my work, starting to send it out for submission—that kind of thing. It’s exciting and terrifying at the same time. SC: But I will say that my stories all tend to have a strong sense of place. So even if they’re not specifically about cities, I often use cities to root my stories and characters. I like to think about who a character is and how they interact with the environment. It’s funny because writing the scenery and other physical world-building details can actually be some of the hardest parts of story writing for me. And I think it’s because I want to really get it right—represent the people and places in a way that resonates with real life. But sometimes it takes me a minute to really think through and get it the way that I want on paper. MV: You say that you have a difficult time when writing about place and setting because you want to make it relatable. But, most of your writing is speculative, right? So, in that regards, don’t you feel that you have more leeway in that realm? SC: For sure, and I guess when I say that I want to make it relatable or resonate with real life, it’s not necessarily that it has to be an exact copy of a city in real life. 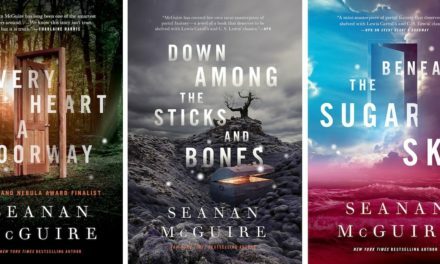 I feel like I’m always trying to make sure that when I’m writing a place it feels like something that could actually happen—like a different geography that exists because of climate change. I’m always trying to think of how a setting tracks from where we are now to where the story takes place. MV: Going off of that, I know that one of the things that has really inspired me with speculative fiction, and why I have decided to work on this magazine, is because I really enjoy how it can be used to discuss current politics. Is that important to you as well? Could you say that’s a main motivation in your creative writing? SC: Yeah, definitely. I think coming from an urban planning background has been one of my main reasons for doing speculative work. I want to take current issues that we’re immersed in and speculate about how we might either approach those issues by solving them or, in a dystopian sense, how we might be destroyed by them. Thinking concretely, recently I have been really interested in stories about the future of California and how we’ll deal with climate change issues like overheating, drought, and sea-level rise. These things will happen in a lot of places, but I’m very interested in how they’ll manifest specifically in California. So that’s definitely something that comes directly from my urban planning interests. I try to speculate into where we might be in coming years and what that might mean for the people who are living here. I would say that my work is always on the character-driven side. So I’m always very interested in the personal empowerment perspective and how the characters in my stories, generally people of color, are adjusting to and moving through big changes, whether that is climate change or some other speculative device that I’m using in a story. MV: I think what you’re saying goes into another question, actually two questions that I have. First, how does speculation impact your writing both rationally and creatively? And when I say rationally, I was wondering, how does your day-to-day work—the facts that you learn—how does that inform what you write about? SC: That’s a really good question, and I like that you broke it out with the rational and creative side, because I definitely work with both. I would say for the right-brained creative side, that’s where I start a lot of my speculative fiction projects and where a lot of that initial energy comes from. I feel like a lot of my life is the left-brained, rational energy, and so I really love to dive into a story and get engaged. A lot of times I start with an initial “what if” question that I want to answer, or a world-building premise or particular dilemma that a certain character might be in. Then I freewrite to flesh out the idea and create the outline to get the story going. That whole initial process and initial first draft feels really right-brained creative to me. Then the left brain, the rational side, comes in a lot in the second draft and in the revising, restructuring, editing, polishing—that whole process. So it’s a different kind of concentration and I feel like a lot of times I dole it out over a longer period of time than the initial drafting phase; it’s where I really figure out what I want to say with the piece and what overarching themes and real-life issues I want to comment on. MV: Going into the speculation itself and going back to what you were saying about the California fires impacting you—there are times where you are very directly relating to certain facts that you know. I would call that rational speculation: this is the future and there are going to be a lot more wildfires in California. But how about the creative, right-brained side of your speculation? Could you describe to me how that works for you? SC: I think a really good way to put it is that the initial question, or problem, often comes from a situation that we’re in right now, like the wildfires in California. Then, taking it to the next level involves more of a creative process. I do try to at least glance at some research or policy papers to be a little bit more informed than I might otherwise be on a topic, but from there it definitely is a question of a) what do I want to say with the story, and b) how do I want my characters to be interacting with the world. A lot of times those questions will define the particular element that I will focus on. For instance, in a story that I’m still drafting, I’m looking at agriculture in California—how agriculture uses water resources, and what we would do in a world where water resources are even more scarce than they are today. I think through what characters I want to have and how they will engage with the world, including what I want the conversations should look like and how they will draw out what issues I want to look at. That’s how I move forward with that creative process. MV: So it sounds like you use your rational side to build a world off of certain facts that are a potential. How else do you creatively work with that? SC: One thing that can be really fun to explore is change in technology. It’s kind of a traditional science fiction trope, but you can have a lot of fun with it when comparing to what we have now. A creative take could be, and I’m just making something up off the top of my head, that there’s a machine that can harvest things in a second in an agricultural field. I also look into physical changes, physical aspects of the world that might be different. It could be simply scenery; I know there are a lot of writers who play around with that, I’m thinking of Kim Stanley Robinson who plays with New York and what the city will look like during future climate change. I like that visceral feel of how a city could look so different. MV: In recent submissions, we didn’t get a lot of fantasy. So I’ve been thinking a lot about fantasy. Do you bring in any aspects of fantasy in your writing? SC: That’s a great question, because right now I’m an associate editor for PodCastle, which is a fantasy-focused podcast that releases weekly. I slush stories for them and help out with some of the behind-the-scenes work there. I love getting to see some of the stuff that’s coming up in fantasy these days and the newer voices there. My own writing tends to be more sci-fi, but there are definitely some fantasy elements as well. In terms of fantasy, I’m generally more on the magical realism side of things, so I’m more interested in creating situations or characters where most things are similar to what the world is like today or what characters are like today, but there will be unique abilities of a character or aspects of a world that are just a little bit different. And that difference will drive the story. So that’s something I like to play with for sure. MV: Last, I wanted to ask, what attracted you to Speculative City? SC: I was really excited to see Speculative City. It’s great to have a magazine that’s taking on the fictional side of cities and city planning issues. I think that there’s a lot of work in the real world that is always going to be constrained to some extent, whether that be from politics, financing, or systemic structural inequalities. So, I think the power of imagination and fiction is always going to be incredible and important. 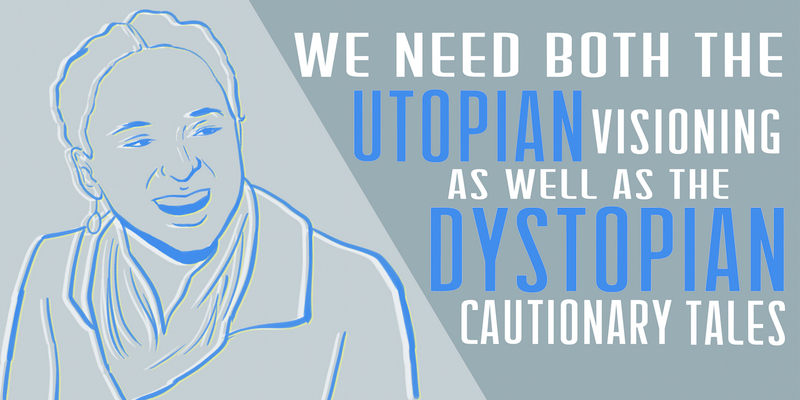 And I think we need both the utopian visioning as well as the dystopian cautionary tales. I think that’s really the power of fiction in general—to expand how we’re thinking now, expand visions of the future, or even of the past. I’m really looking forward to seeing the first issue and I hope I have a chance to contribute in the future. MV: I definitely hope you can contribute as well! And I hope the first issue appeals to you. Thank you for joining us! SC: Thank you and thanks for having me! This interview has been transcribed and edited for clarity. If you want to hear the audio version of this interview, subscribe to us at Patreon. Stefani Cox is a Los Angeles-based speculative fiction writer with a background in urban planning. She’s an alumna of the VONA/Voices of Our Nations Arts writing workshops and an associate editor for PodCastle fantasy fiction podcast. Stefani also works as a communications consultant, and spends her free time practicing yoga, hiking, and being an insatiable bookworm. 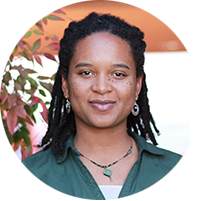 She holds a master’s in City and Regional Planning from UC Berkeley. Find her on Twitter @stefanicox or her website http://stefanicox.com.